← Fishing is on fire! 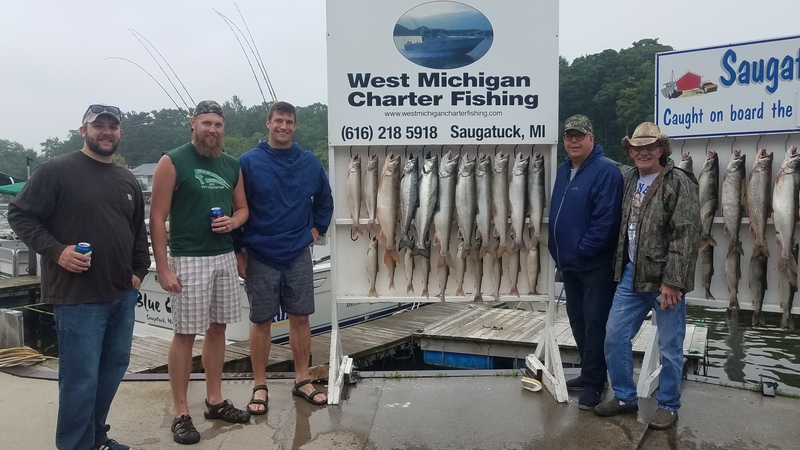 Starting this week i will do my best to keep everyone up to date with a fishing report every few days from the saugatuck area. Yesterday we fished 60 to 100 fow with 80 to 90 being the best. We had limits of lake trout in short time pulling 8 inch dreamweaver spindoctors on bottom with glow green and blue and silver whirly Gigs behind them on the riggers and divers. Our silver fish bites are coming on blood run coppers 100 to 300ft in length. Magic man super slim on a 200 being our best and a 8in blue bubble with a blue bubble fly being a close 2nd on a 300. The steelhead should start to show up in front of the piers as long as this west wind dosent warm it up to much. Good luck out there!